I was repeatedly requested by Swami Maharaja, “Look after them. I have taken them to you. Please look after them.” I also have some affinity for the cause of Mahaprabbu. So if anyone is coming to seek Krsna consciousness but is going away frustrated, then naturally, some sympathy should come in my heart to help him—to give him relief. With that idea, I give help, whatever help I can, although it is very meager. I am simply sitting here. I am not running higher and tbitber to disturb the brains of the ISKCON followers, and those that are coming to me, how can I send them away? How can I sit right without giving what I know I feel, without extending this sort of help to those persons? But the ISKCON administration has only some formal consideration. These few gentlemen, whom I consider to be students—students, not professors—speaking from my absolute consideration standpoint, they have become self=made authorities, thinking that whatever they dictate, I shall have to obey that? I am not a person of that type. With my clear conscience to God; that is to krsna, to Mahaprabbu, to my gurudeva, and to Swami Maharaja, what I am doing, I think it is justified Let them capture the whole world. I ‘be satisfied. I am not an enemy, because we have a common cause. This book should never have been written. At the same time, many will be grateful that it is now in print. It should not have been written because the evernts that it describes should never have happened. Yet it brings to light the actual history of shocking period in contemporary Gaudiya Vaisnavism, one that, like many embarrassing historical events, has been grossly distorted over the last twenty years. Speaking positively, there is much to learn from those who do things wrong. 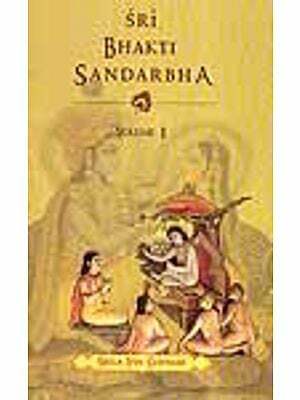 Swami Visnu sets the scene by jumping back in time to the late 1930s, a few years after the departure from mortal vision of Bhaktisiddhanta Sarasvati Thakura, the guru of two of the most prominent Gaudiya Vaisnava saints of the century. 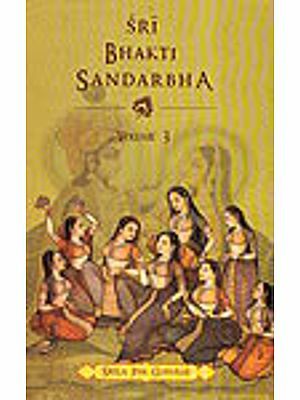 These two godbrothers, A.C. Bhaktivedanta Swami Prabhupada and Bhakti Raksha Sridhara Deva Goswami Maharaja, and their transcendental relationship are introduced in the first chapter. Their relationship continued up until Swami Prabhupada’s passing into eternal samadhi in November 1977. Yet, an Visnu Swami demonstrates, their relationship continued after Prabhupada’s departure as well, in the form of Sridhara Maharaja’s selfless efforts to help Srila Prabhupada’s fledgling disciples in accordance with Srila Prabhupada’s request. One gets the strong sense that their relationship continues even today and into eternity, for both of these saints were united, despite their differences, around the same cause—establishing the devotional conclusions of Srila Rupa Goswami and awakening love of Sri Sri Radha-Krsna in the hearts of all souls. Both Srila Prabhupada and Srila Sridhara Maharaja were of a harmonizing nature, and appropriately so, for true religion means proper adjustment. Such is possible only when one’s religion is love, which alone can resolve all contradictions. This is the religion of Gaudiya Vaisnavism, in which the Vraja lila of Radha-krsna manifest out of selfless loving union with the Absolute, replete with a cast of thousands upon thousands, all of whom have been considered incarnations of love—Srila Prabhupada and Srila Sridhara Maharaja no exception. Despite the relationship of Srila Prabhupada and Sridhara Maharaja, Sridhara Maharaja’s numerous saintly qualities, and Srila Prabhupada personally introducing his disciples to Sridhara Maharaja, Sridhara Maharaja became the direct target of slander. Indirectly, Swami Prabhupada was slandered, and all of this by his own disciples’ attempts to glorify him. 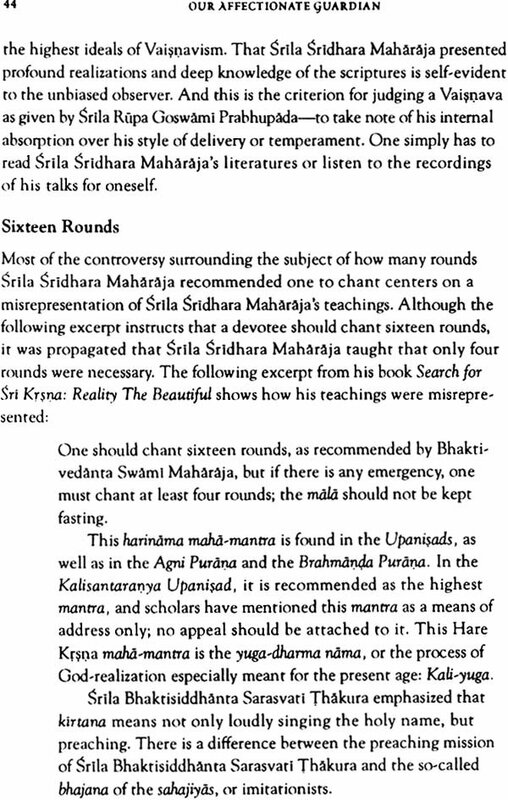 The Salander of Sridhara Maharaja is blatant, while the more insidious slander of Srila Prabhupada is felt deeply by those who read between the lines of this book. When lust appears in the guise of love, nothing could be more insidious. This is the greatest enemy of the spiritual aspirant. The lust for power, disguised as love for Srila Prabhupada, rears, its ugly face in this historical account, in which the road to hell is tread by those of good intentions. While unity was the goal of Srila Prabhupada’s disciples, their shortsighredness found them tampering with the very foundation of unity, vilifying the very saints they should serve. With the foundation cracked, snakes of misconception and apasiddhanata made their away in to bite the society’s members, and today the International Society for Krsna Consciousness limps along, priding itself in external achievements with little concern for or understanding of inner life. 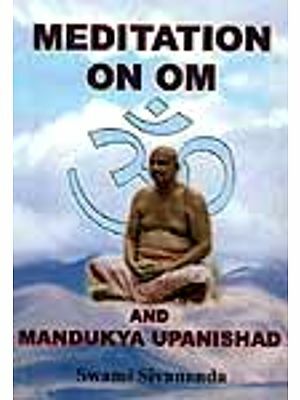 Swami Visnu appeals to his readers with suggested measures for reformation. Yet one will sense a hopelessness for any comprehensive reform in his acknowledgement of a place for Kali within Gaudiya Vaisnavism—Kali-chela. Read and cry.